How much does a bespoke suit cost? For men who’ve never been to a tailor the price can seem intimidating, but in reality the cost is the least interesting thing about a hand-made suit. It’s as relevant to compare the price of a suit made by Chris to the price of a designer suit as it is to compare the price of a Rolls Royce to that of a Renault Laguna; while both cars will transport you from A to B they are entirely different in every other way. A shop-bought suit (even one with the name of a famous European designer on the label) is likely to be made in a vast Chinese factory, while Chris’s suits are cut, by him, at his board in his Berwick Street shop, and sewn together in Soho. The way that Chris constructs his suits is one of their defining features; the jackets are hand-canvassed, meaning that layers of horsehair fabric are stitched together to create the shape. 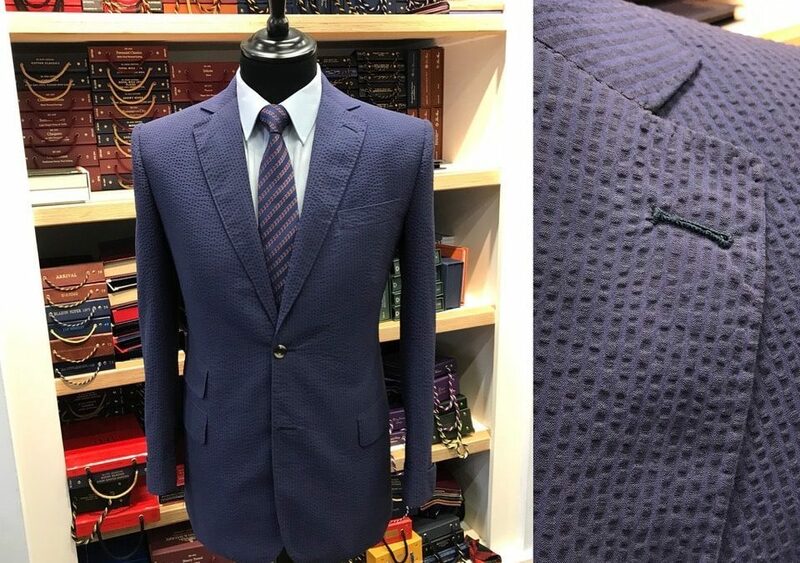 This requires a lot of handwork, but allows the jacket to hang more cleanly across the chest, and to hold a better shape for longer – shop-bought suits are merely glued, or fused, together and look rather 2D as a result. 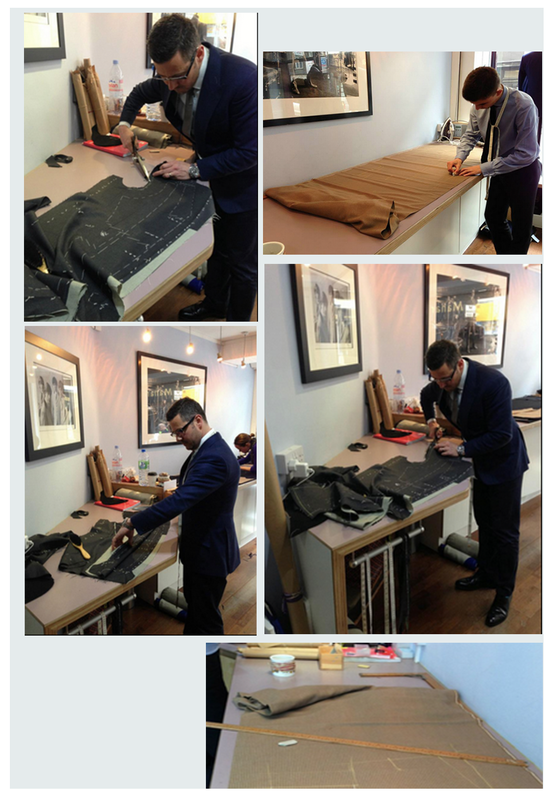 The painstaking process of hand-canvassing accounts for the special feel of a hand-made suit. However, the most obvious advantage of going bespoke is the broad choice of fabrics, in terms of colour, design, texture and weight. Like blue suits, but feel bored by the sea of dark navy that’s offered by department stores? No problem, just pick a livelier shade from the many cloth bunches in Chris’s shop. Spend a lot of time in the Gulf, or somewhere else that the temperatures are very high? Easy, just ask to see the tropical-weight wools. Concerned about the effect of your travel schedule on your suits? Choose from high-twist cloths specially developed to resist wrinkling. The shelves in Chris’s shop are full of bunches from the finest fabric merchants and mills, including Holland & Sherry, Scabal and Harrisons of Edinburgh. Between the best materials, the hand-work and Chris’s near twenty-year’s worth of experience as a cutter, to say nothing of the longevity of a hand-made suit, the truth is that bespoke tailoring is cheap at the price. What is Made To Measure? Visit Chris Kerr at our Soho shop.